In April, our Third Floor Film Series will be a screening of Days of Heaven. This 1978 film by visionary director Terrence Malick is one of the most visually beautiful movies ever filmed and helped to usher in a new style of cinematic storytelling. 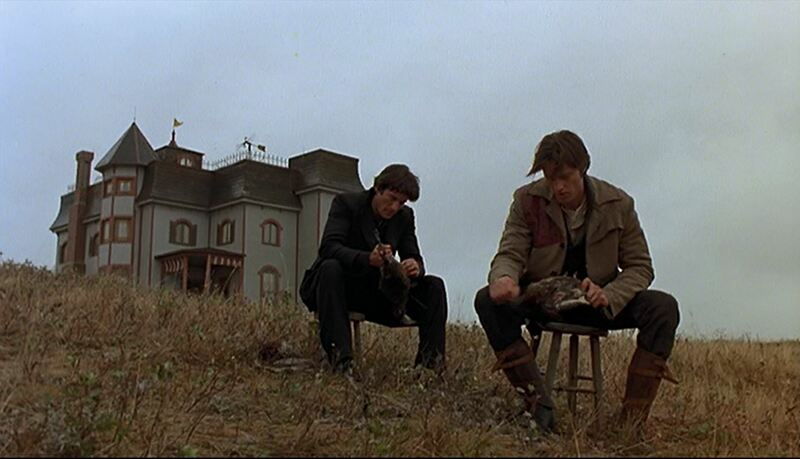 Set in 1916, Days of Heaven follows the circumstances of three vagrants as they flee from a crime one of them committed in Chicago and look for work. 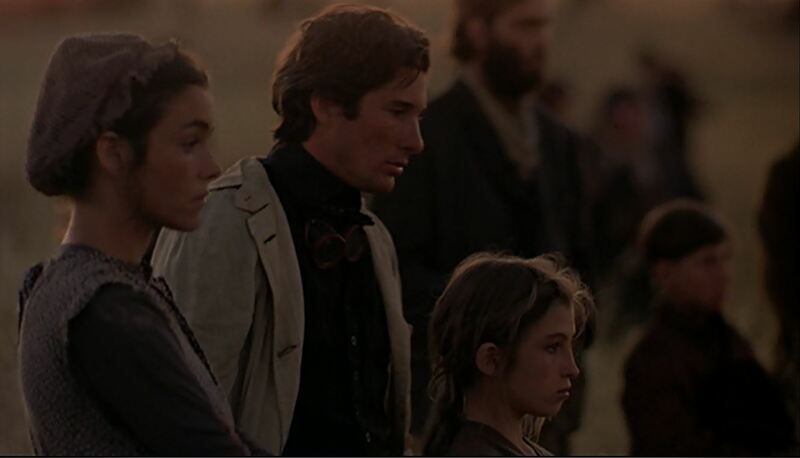 Bill, played by Richard Gere, travels to the Texas panhandle with his girlfriend, Abby (Brooke Adams), and his kid sister, Linda (Linda Manz). 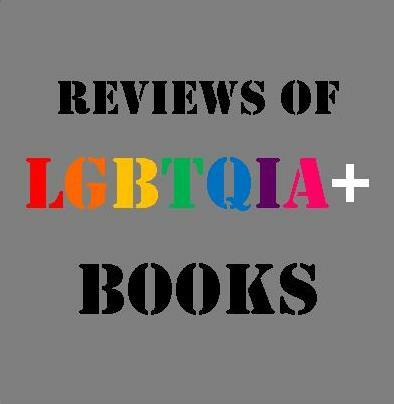 They end up on the land of a wealthy young farmer (Sam Shepard) just in time to earn money during the wheat harvest, and their thin grip on survival (and love) is strained when the farmer takes a liking to Abby. The farmer is dying of an unspecified illness, and Bill and Abby hatch a plan to inherit the farmer’s money by having Abby marry him and stay with him for the short time till he dies. 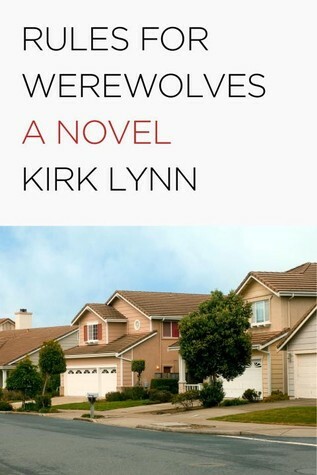 They marry, but he doesn’t die, and resentment builds between the triangle of adults as Linda, a child, observes. When a biblical plague of locusts wipes out most of the farmer’s next harvest, tensions finally break into violence. 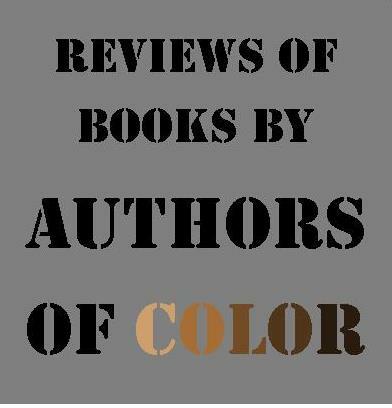 The film is narrated by Manz’s character, and her childhood naivety is braced by a subtle eye for survival and an untrained but pulsing notion of beauty and justice. The film is less concerned with its own plot than with the interior lives of its characters and the aching beauty of the landscape that both supports and threatens them. Malick’s style of filmmaking, which has been imitated and riffed on by countless others over the last few decades, has been criticized at times for being too impressionistic and directionless. If this has been true of some of his films (and I don’t think it has), it is certainly not true of Days of Heaven. A steady relational logic moves us through the film, showing us with heartbreaking inevitability and aching beauty how the human heart can betray itself and betray those it loves most. Manz’s character is a young girl who is tough but in most ways still a child. This was Manz’s first film role, and the actress was older than the role she plays. She was fifteen when she was cast, and Linda is probably no more than twelve or thirteen in the film. 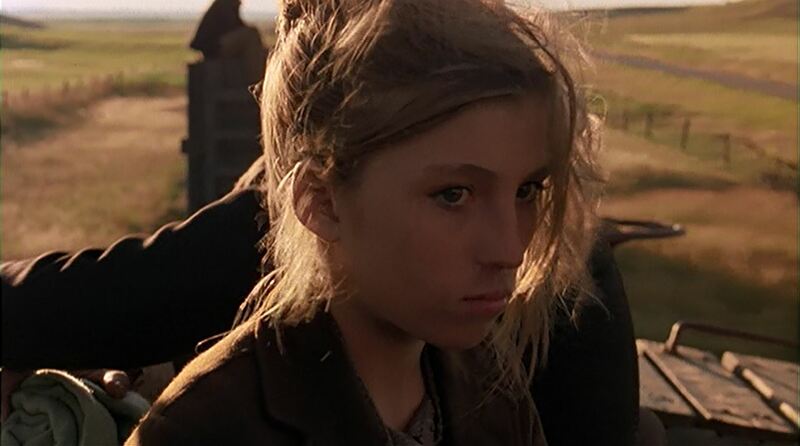 She only appeared in a few more films during her career, but her haunting face and pitch perfect narration are two of the defining markers of Days of Heaven. Her character is the primary point-of-view for the film, though this isn’t strictly adhered to throughout, as several scenes take place in private between adult characters. We see the film’s action for the most part from Linda’s perspective, and looking at this action through the eyes of a child helps us understand why the tone of the film is not nearly so heavy as the circumstances and actions of its character would seem to dictate. In all of Malick’s films, there is a pervasive innocence and childhood curiosity in the face of violence and pain, and that is key to understanding Days of Heaven. 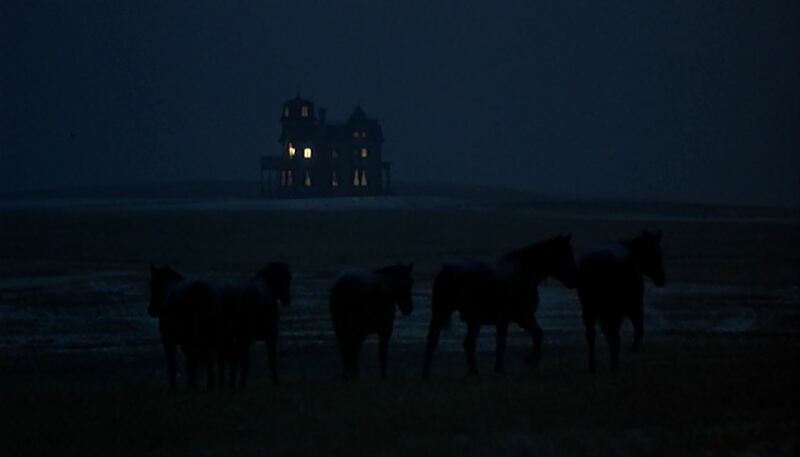 Similarly, all of Malick’s films deal with some notion of lost Eden, of an idyllic paradise the characters live in for a time and then lose, and in Days of Heaven that is the period of time after Bill, Abby, and Linda arrive on the farmer’s land, working hard but enjoying a time of relative plenty, playing, dancing, feeling the prairie wind and sun on their faces. This paradise is corrupted by the scheming of the adults, but there is no judgment in Linda’s mind, just an awareness of the transient nature of all good and bad things in life. 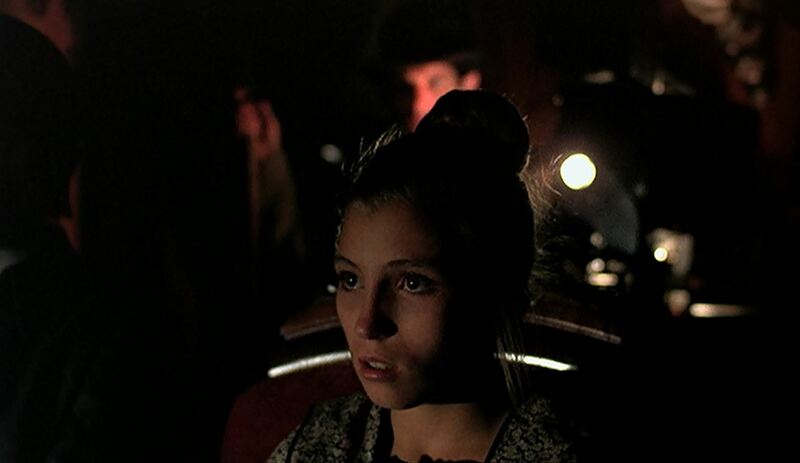 There is a scene in which Bill, Abby, Linda, and the farmer watch a Charlie Chaplin film in the farmhouse. One has to wonder if it’s the first time the three vagrants have ever watched a motion picture, and Manz’s face is both troubled and awed by the events on screen. It is Chaplin’s The Immigrant, and the childlike comedy of the film blended with its themes of heartache and oppression are not lost on Malick, Manz’s character, or us. 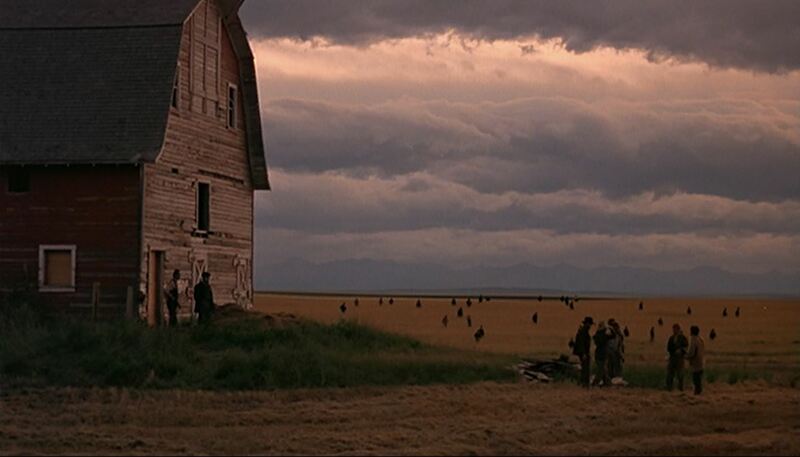 Days of Heaven is, as stated earlier, one of the most visually beautiful films ever made. Almost the entire film was shot during magic hour, the half an hour or so after sunset when the sky is still light, a brief window of time when soft natural lighting can yield sublime photography. Shot in a region of Alberta, Canada (standing in for the Texas panhandle), populated by Hutterites, the film features countless wide shots of the horizon, the swaying wheat fields, and the gorgeous dusky sky. There is some controversy surrounding who was most responsible for the film’s stunning photography, as shooting delays required a mid-shoot changing of hands between legendary cinematographers Néstor Almendros and Haskell Wexler. The official credit went to Almendros, though Wexler later claimed he sat in a movie theater with a stopwatch to prove over half the film’s photography was his. Whoever shot the film, it’s stunning. Please join us at Greenville Public Library on Thursday, April 28, at 7 p.m. as we screen this gorgeous and deeply moving film. As always, free popcorn, candy, soft drinks, and coffee will be provided. I will be leading a brief discussion following the film. We hope to see you there.